Editor's note: This article first ran in 2014 and these recommendations remain ageless. 1. Introduce new KPIs into the mix. Key performance indicators, or “KPIs,” help buyers gauge just how well their procurement organizations are doing and where they should be heading in the future. “You can’t manage what you can’t measure – or what you’re not measuring,” said John Hutchinson, president and CEO at software solutions provider Vinimaya, Inc., Cincinnati. As part of an organization’s overall mission to set, track and achieve goals, KPIs measure the most important activities and results associated with specific departments. A few of the top purchasing KPIs are quality of products and/or services (to determine if the items met your own company’s standards and those of your customers); on-time delivery (to make sure shipment expectations are met); and inventory availability (namely, whether it’s the right place at the right time and in the proper format). 2. Practice team-based procurement. By involving other organizational departments in the buying process, purchasing agents can gain valuable insights that they wouldn’t have if they were simply working in their own silos. Through a team-based approach, plant managers can quickly convey ongoing maintenance repair and operations (MRO) needs; accounting departments can discuss invoices and purchase orders; and chief executives can assess purchasing’s role in enhancing the organizational bottom line. To ensure the strongest possible supplier relationships, Sandys says buyers should pick those that possess the tools, software, reference designs, online communities and training available to support you throughout the design process. Look for partners that have a broad customer breadth and large inventory, and channel your partnering efforts into those that can support your organization effectively throughout both the design and the supply chain cycles, he added. 4. Go beyond price with total cost of ownership (TCO). Gartner defines TCO as a “comprehensive assessment of information technology (IT) or other costs across enterprise boundaries over time.” For IT, for example, TCO includes hardware and software acquisition, management and support, communications, end-user expenses, and the opportunity cost of downtime, training and other productivity losses. By considering direct costs, indirect costs, transaction costs, and disposal costs, TCO gives procurement professionals a more complete picture about a specific financial investment. It also helps them compare and contrast different variables associated with a purchase and integrate concepts like sustainability into the procurement process. 5. Save time and energy with an e-procurement system. 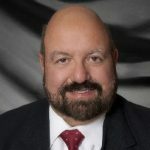 In Save Time, Money, And Improve Supply Chain Management With E-Procurement, author Karl Schmieder defines e-procurement as a process that allows buyers and sellers to connect electronically via the Internet and through information networking systems such as electronic data interchange (EDI). E-procurement systems are available on-demand or as Software as a Service (SaaS) and can be used in every stage of the buying process, allowing agents to direct spending via purchase orders to preferred suppliers, manage catalogs from multiple vendors, and contract prices quickly and accurately with a seamless user experience. 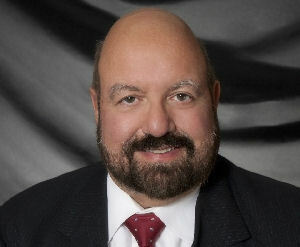 Steve Vecchiarelli, is VP, Supply Chain Solutions, at Digi-Key.